​FRAMAX has an immediate career opportunity for a full-time Field Representative in our Fresno Office. 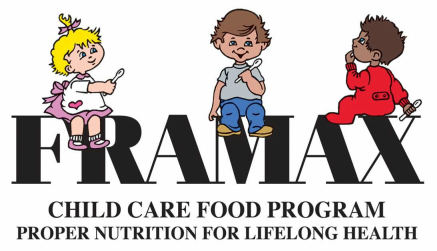 FRAMAX has been serving family child care homes in California’s Central Valley since 1981. We are a nonprofit organization that sponsors family child care homes for the Child and Adult Care Food Program. We work directly with child care providers to provide nutritional training and program support. Position Summary: This position provides training and technical support to family child care providers through in-home monitoring visits, as well as routine office duties. Position requires an understanding of home monitoring policies, program regulations, and office procedures. Monitors family child care providers, and provides guidance and training to ensure program integrity. Performs routine clerical duties including: answering phones, filing, typing, copying, and mail handling. Reviews and analyzes provider claims for accuracy. Practices open communication and problem solving skills which will support a high level of team interaction. When appropriate, aid in resolving provider concerns and issues and works closely with co-workers to ensure the highest level of customer service and satisfaction is achieved. Ability to lift materials weighing up to 30 pounds; to sit, stand, kneel, crouch etc. for prolonged periods for both desk and heavy filing work. To apply, submit your application (click link below), resume and cover letter to: support@framax.net or apply in person at: 715 G Street, Modesto, CA 95354.